SALMON, Idaho, April 4 (Reuters) - The largest school district in Idaho has banned from its curriculum an award-winning book about the struggles of a Native American teenager after complaints by parents that the novel was rife with profanity, racial epithets and anti-Christian rhetoric. The school board in Meridian, Idaho, voted 2-1 this week to keep the book, "The Absolutely True Diary of a Part-Time Indian," off a supplemental reading list for 10th graders, meaning it will not be part of the curriculum at the high school, said school board clerk Trish Duncan. 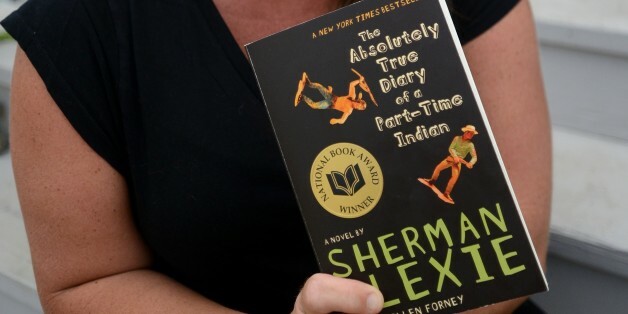 The 2007 Sherman Alexie novel, which won the 2007 National Book Award for Young People's Literature, is still available in the school's library, she said. The school board's decision to seek an alternative book to convey "the cultural messages" of Alexie's work came after complaints from parents that the book contained sexually charged material inappropriate for their children, was peppered with pejorative terms for women, people of various races and those with learning disabilities and mocked Christian beliefs. The book is described by publisher Little, Brown as a "heartbreaking, funny and beautifully written" tale about the experiences of a young Native American who leaves his troubled school on an Indian reservation in Washington state to attend an all-white high school in a nearby farming community. Bonnie Stiles, mother of four students in Meridian schools, said she pushed for the removal from the high school curriculum after reading the book and counting 133 profane or offensive words in its 230 pages. "There's obscene material throughout, degrading slang words like the one used to describe a certain part of a woman's anatomy and an offensive depiction of (Jesus Christ)," she said. Gretchen Caserotti, director of public libraries in Meridian, spoke in favor of not placing restrictions on that or other books during a recent public meeting about the Alexie novel. "Teen fiction is often a reflection and extension of adolescents' realities. We believe books are a powerful and safe place for kids to see outside themselves and explore a world that is increasingly diverse and complex," she said. An ironic outcropping of the controversy is that the book is now in high demand in local public libraries, said Caserotti. The novel was ranked second on a list of 10 books that were most frequently challenged or banned in 2012, according to the American Library Association.